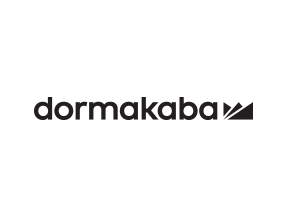 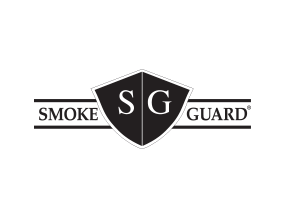 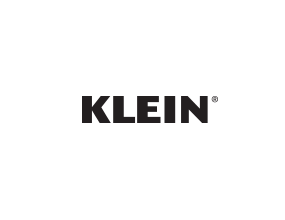 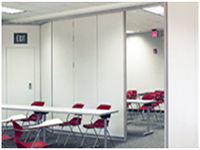 The recognized leader in space management design solutions serving New York, New Jersey and the greater Philadelphia area. 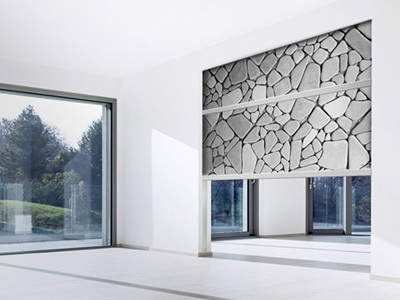 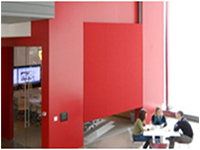 Modernus architectural wall solutions are beautifully unique, highly customizable, and exceptionally built. 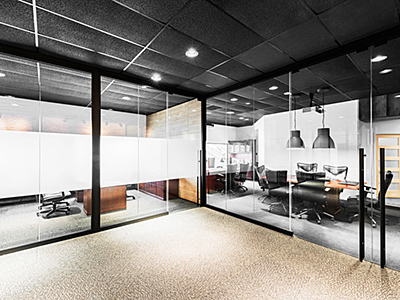 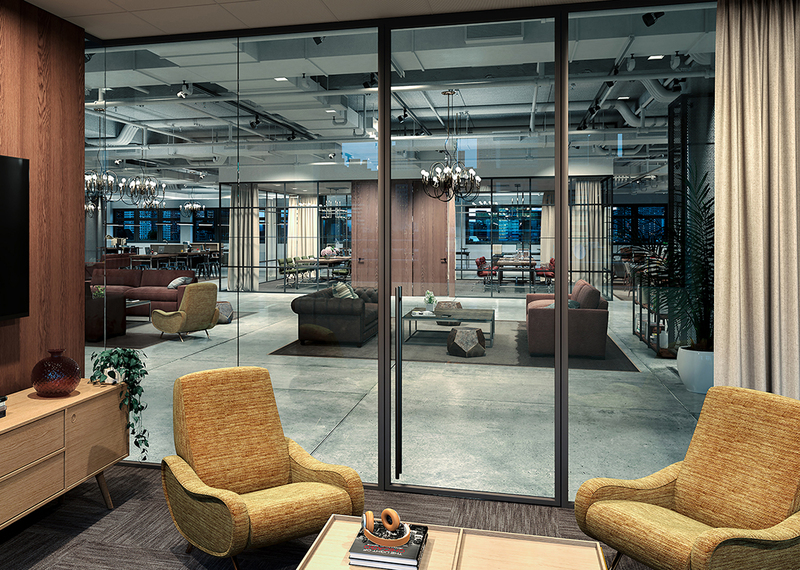 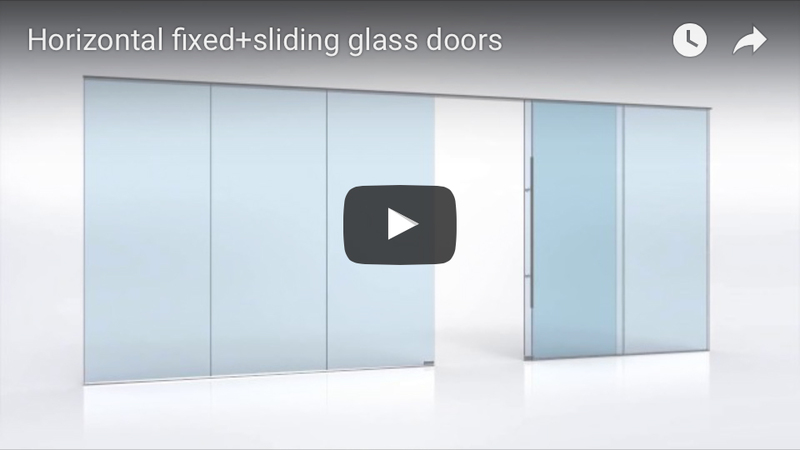 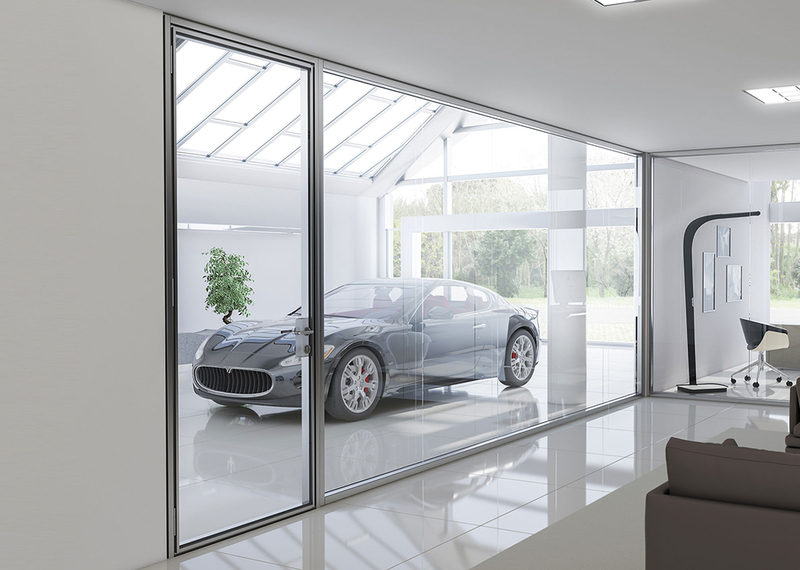 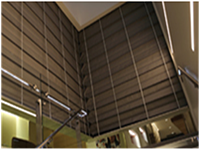 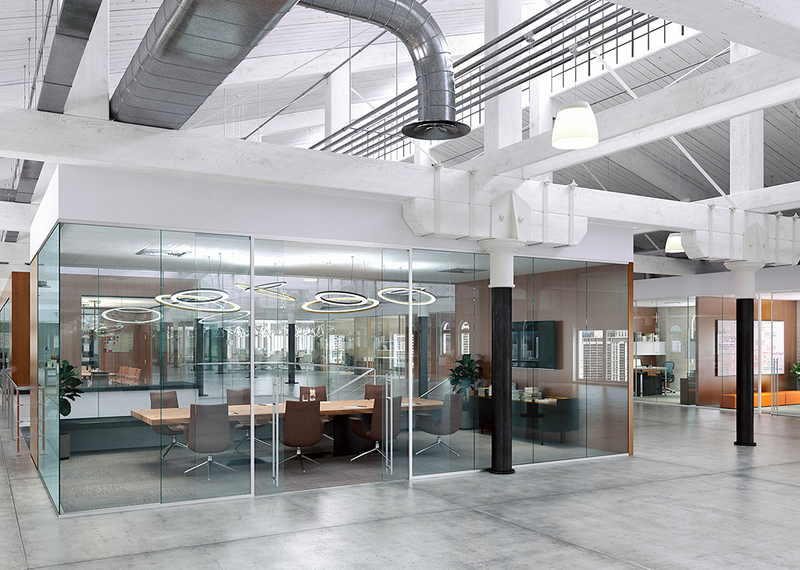 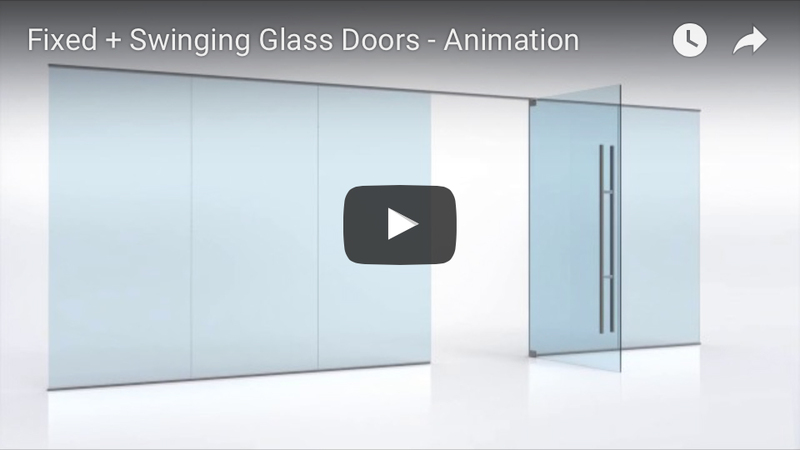 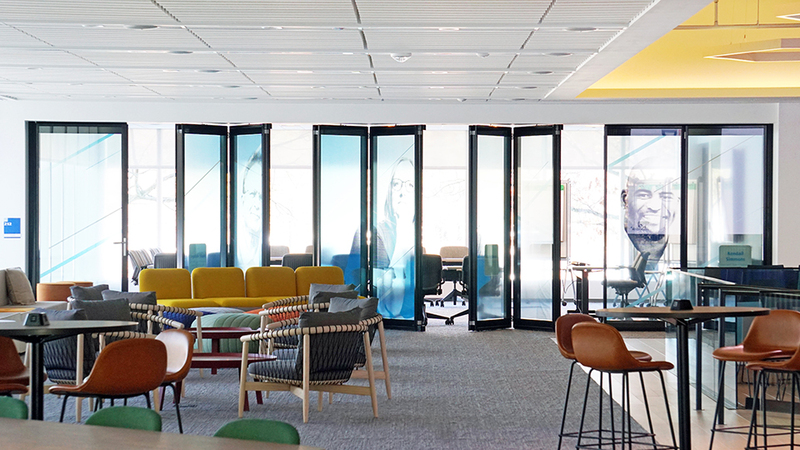 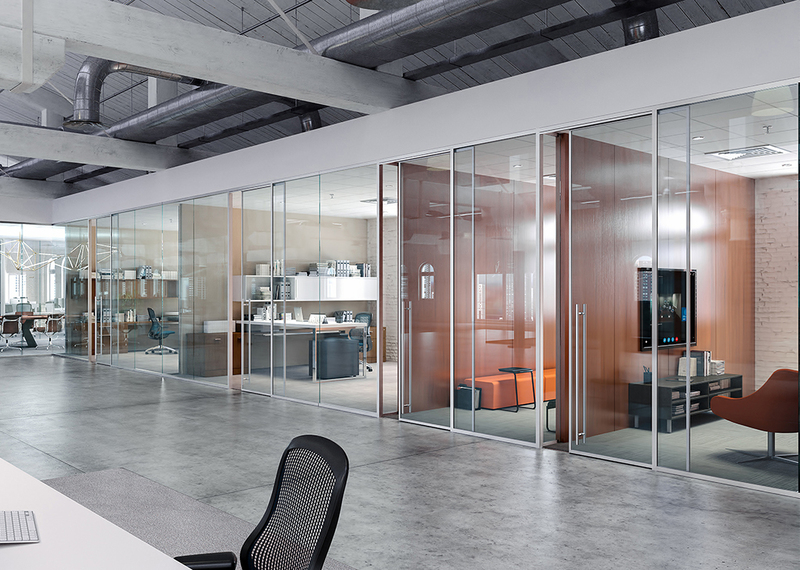 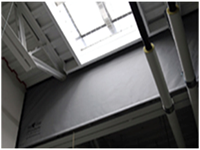 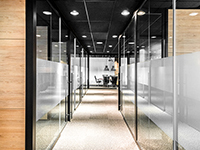 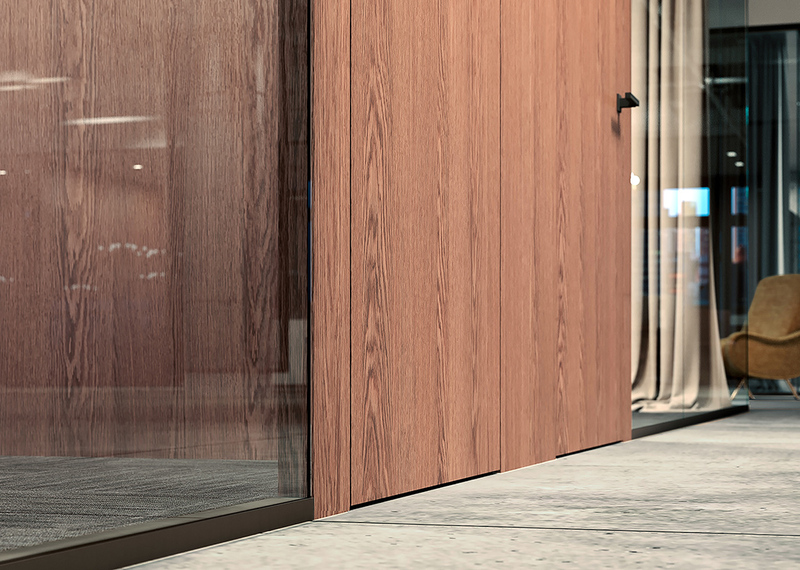 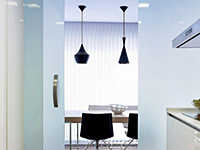 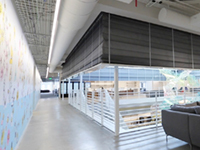 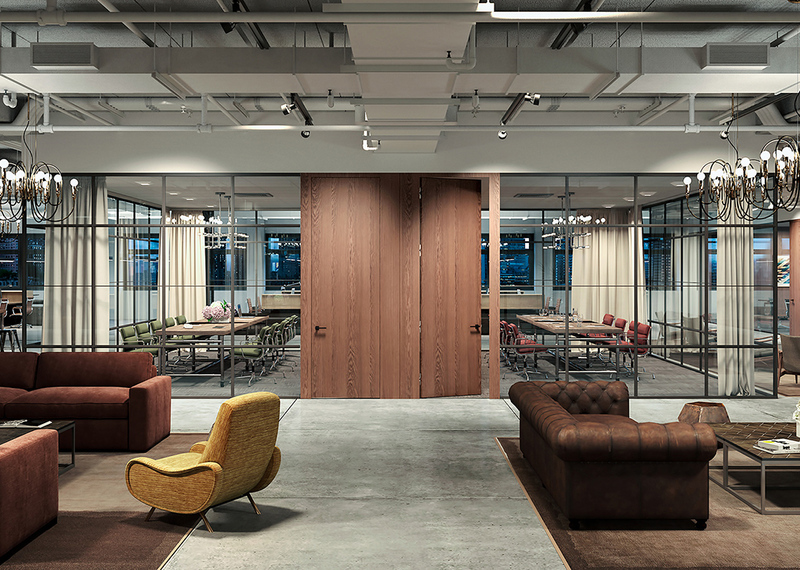 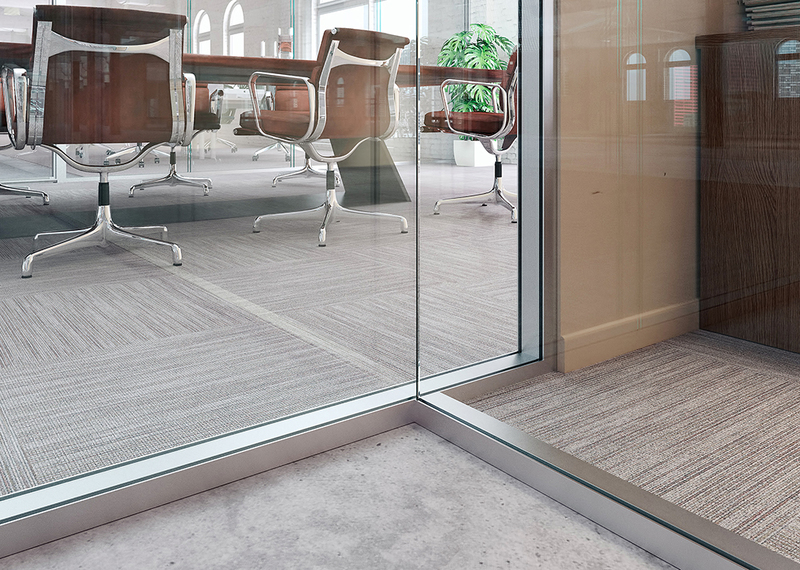 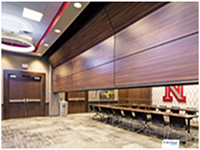 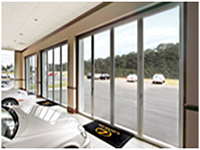 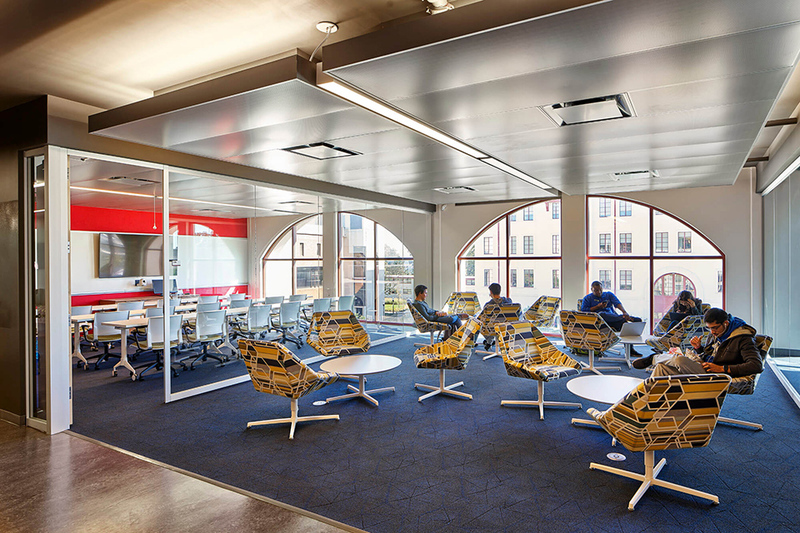 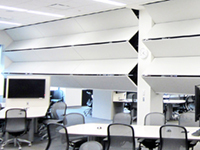 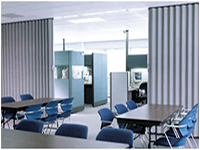 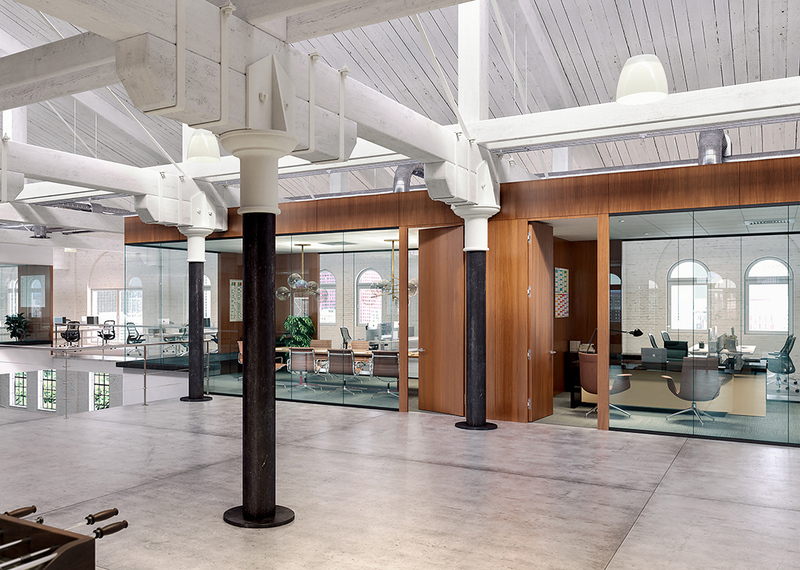 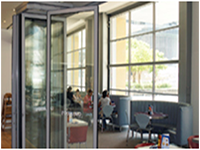 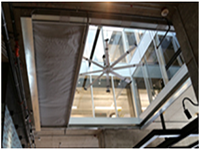 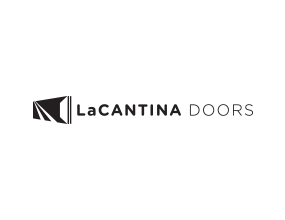 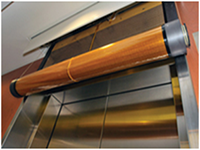 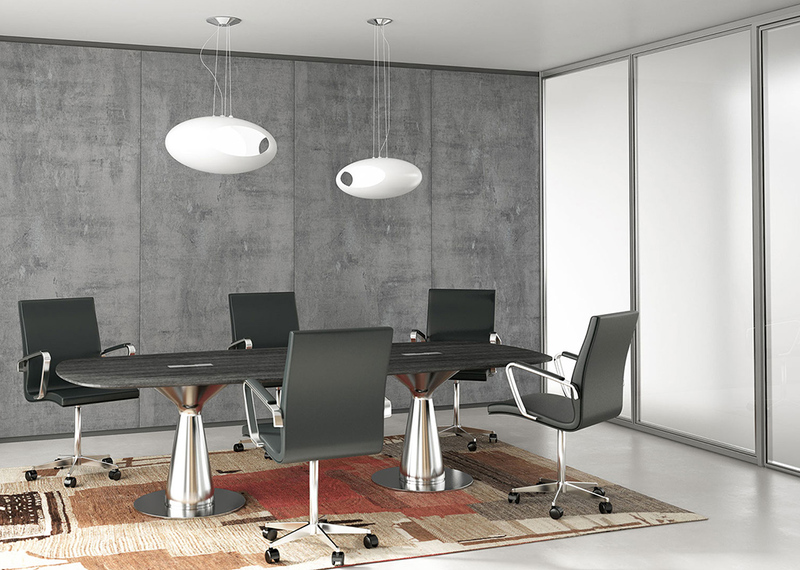 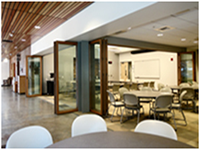 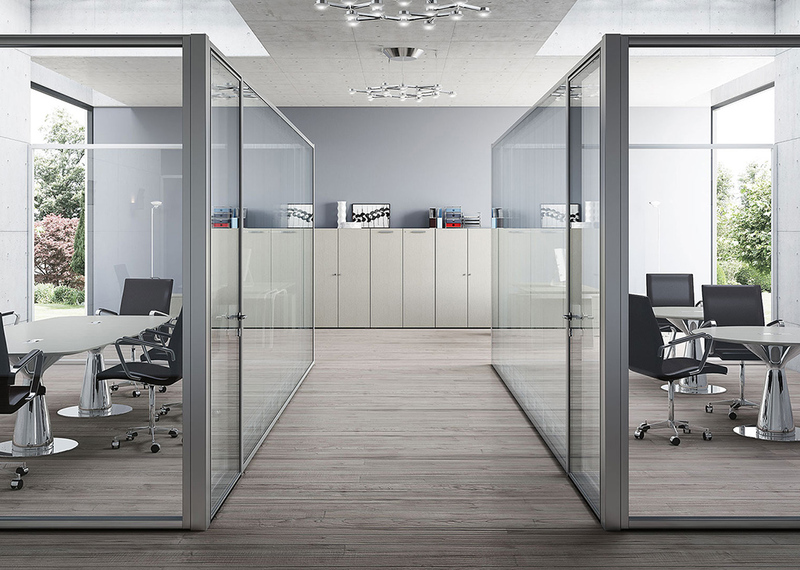 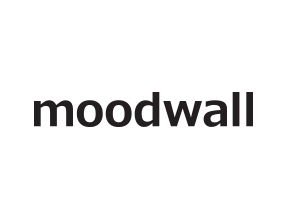 Modernus sliding, swing, and telescopic doors have gaskets on every gap that help minimize sound transmission eliminating the need to compromise on design for acoustical functionality. 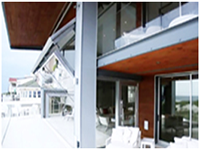 These modern architectural systems offer a complete turn-key approach which offers complete customer satisfaction from drawings to installation. 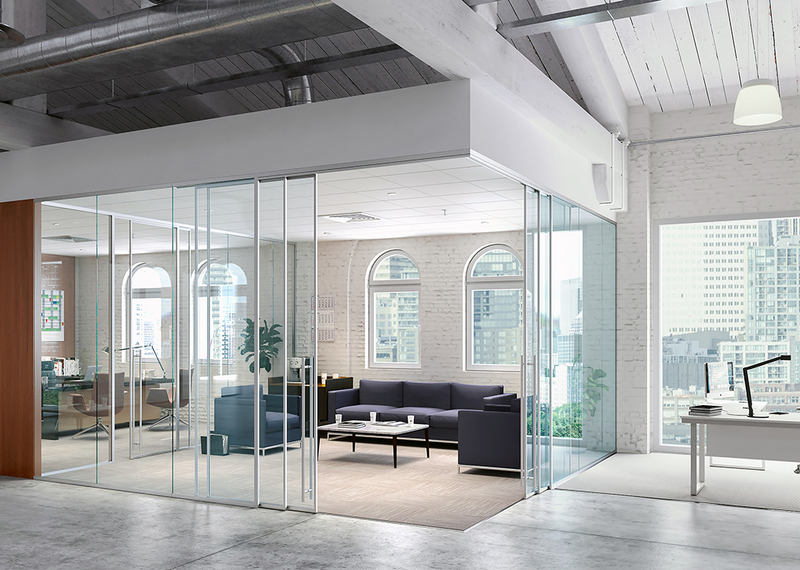 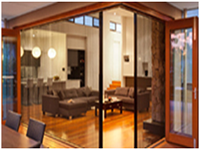 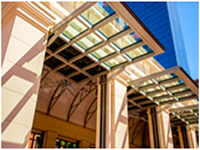 The Lama glass system addresses the need for an easy-to-install and easy-to-specify partition system that is also attractively priced. 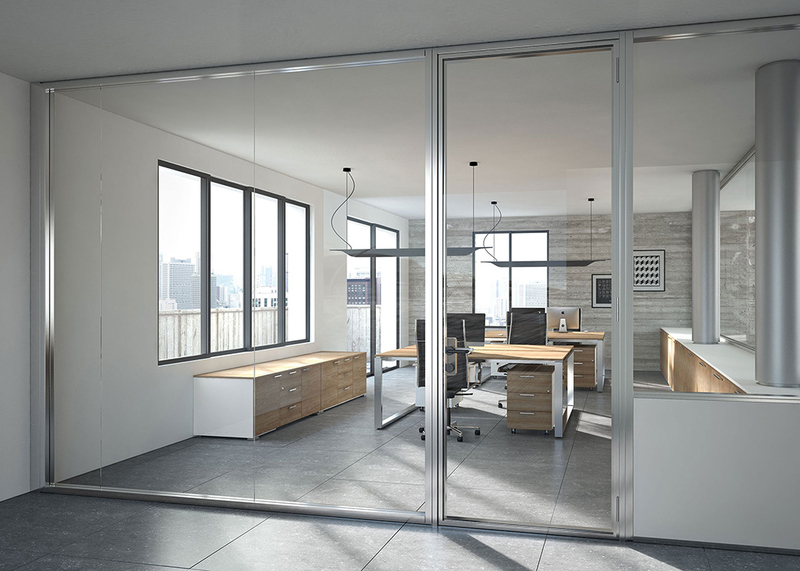 A minimalist system with extremely fast lead times, simplified installation and design flexibility. 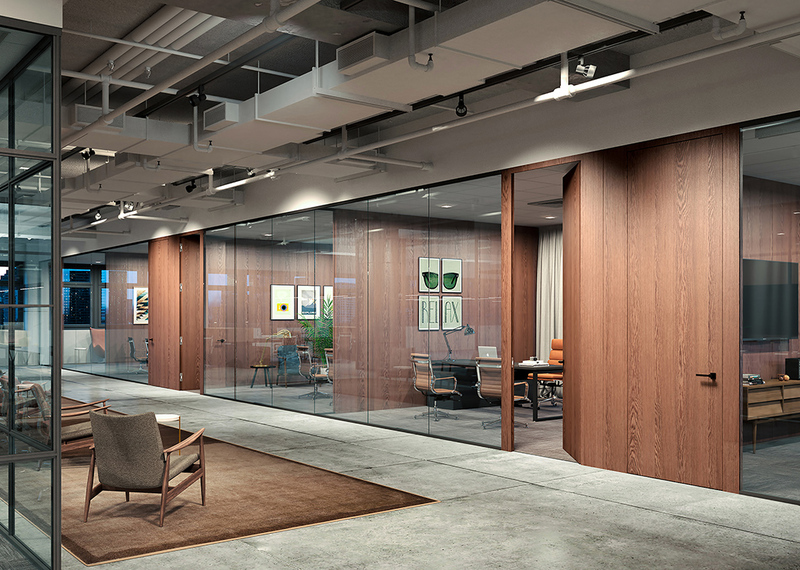 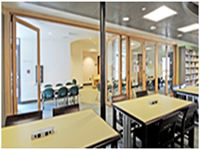 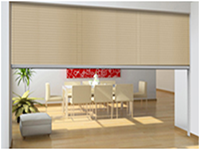 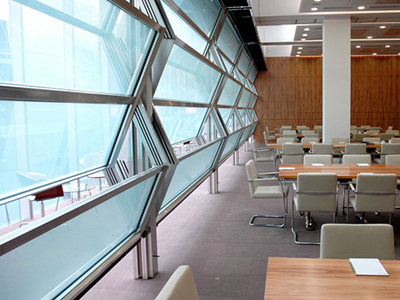 Prehung flush wood modules easily integrates the glass wall partition systems. 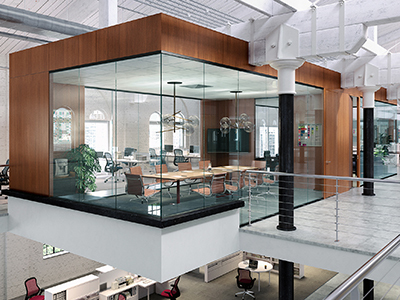 The wood and glass are perfectly aligned and are on the same visual plane. 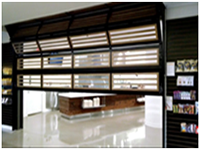 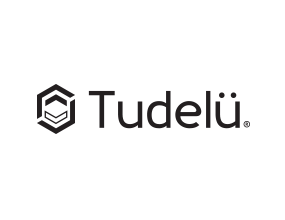 The modules are engineered with the best concealed hardware package. 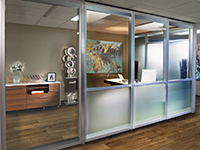 Fimo is available in an extensive range of veneers and and solid finishes, as well as custom veneers and colors. 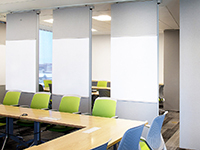 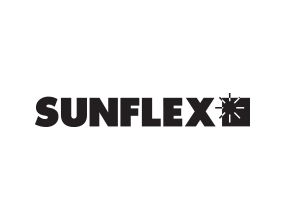 Seven’s versatility addresses any design need whether it’s light penetration, acoustical isolation, environmental isolation, and power and data management. 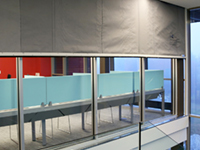 Seven is the only demountable system in the market with a tested 55 dB sound reduction capability. 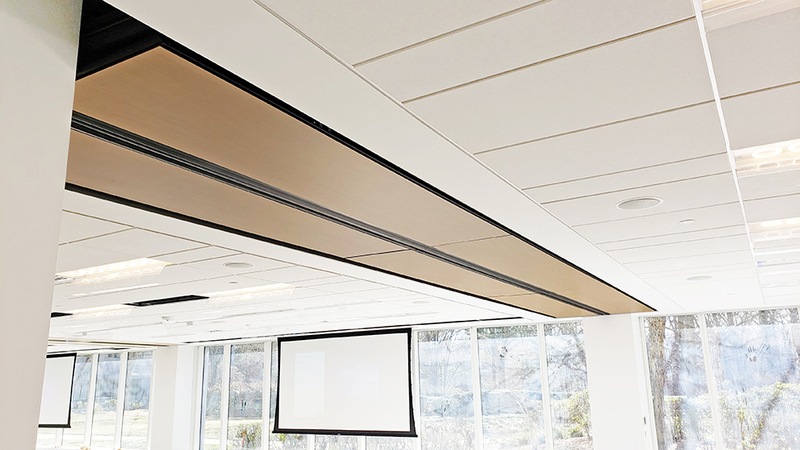 This represents an acoustical performance that exceeds traditional construction methods and is the highest ever achieved. 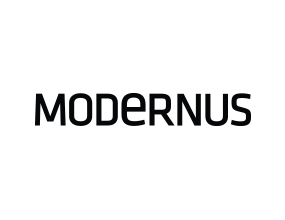 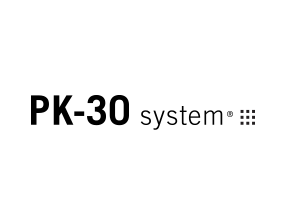 Every one of Modernus products is able to fully integrate without additional adjustments, tracking or hardware, saving time on sourcing materials, designing and installing. 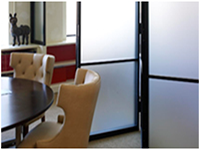 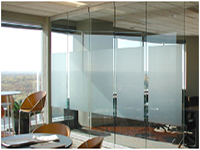 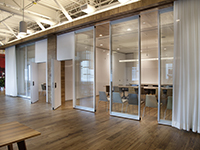 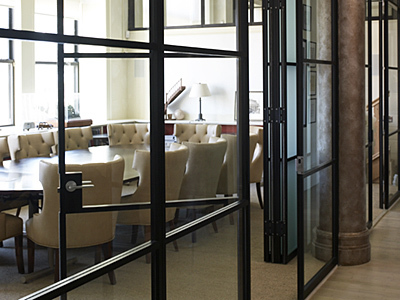 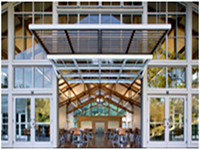 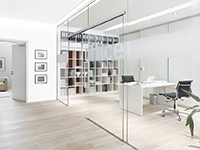 Designed in the USA, Modernus glass and wood partitions provide architectural solutions for the North American market. 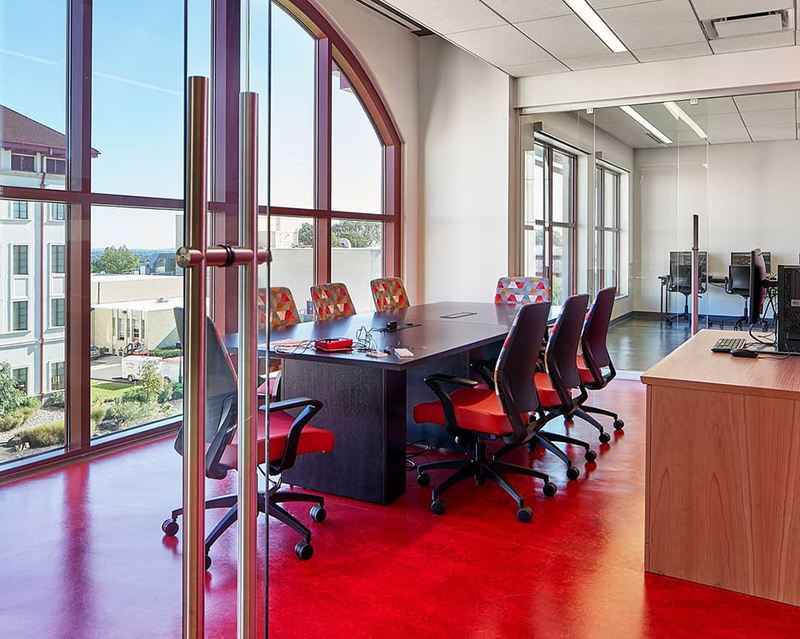 Modernus products are also designed in accordance with LEED guidelines, having a number of LEED Gold and Platinum certified projects. 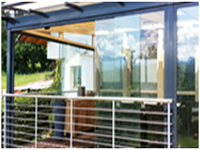 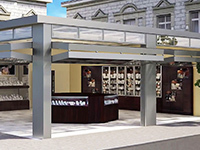 Learn more about the flexible and beautifully built Modernus systems. 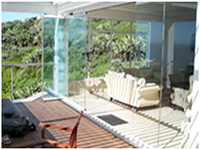 and get a free consultation specific to your project requirements. 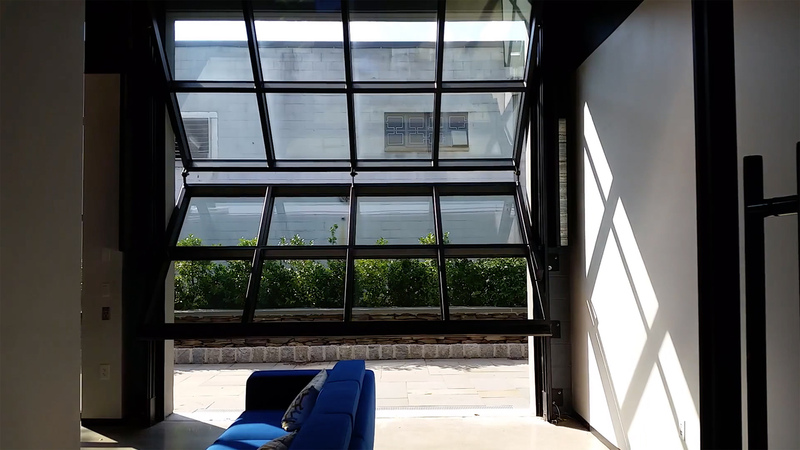 © 2019 ModernfoldStyles, Inc. All Rights Reserved.